Now that Chrome OS-powered devices have gained full Google Play support, one can download Android apps on Chromebooks, but app optimization for smartphone and a Chromebook has been an issue, especially when it comes to keyboard and mouse inputs. The same has been the case with PUBG Mobile, because you can download the game on a Chromebook, but full support for keyboard and mouse inputs is still not available, however, things are about to change. Google has released a new ad for Chromebooks which mocks Windows and macOS-powered devices, but more importantly, you can see PUBG Mobile running in full swing on a Pixelbook. Note: PUBG Mobile on Chromebooks does not have support for mouse input and mappable keys. Also, the graphics settings are very limited and the gyroscope support is unreliable too. The prominent advertisement of PUBG on a Chromebook ad suggests that the game is about to receive some major optimization upgrades for Chrome OS-powered devices. And that is exactly the case here. According to a report from Chrome Unboxed, PUBG Mobile on Chromebooks has received a new update which has not only improved some UI elements, but has also added support for emulators. On the load screen, the aforesaid emulator message reads: “Emulator detected. Your team and you will only be paired with players using emulators”. 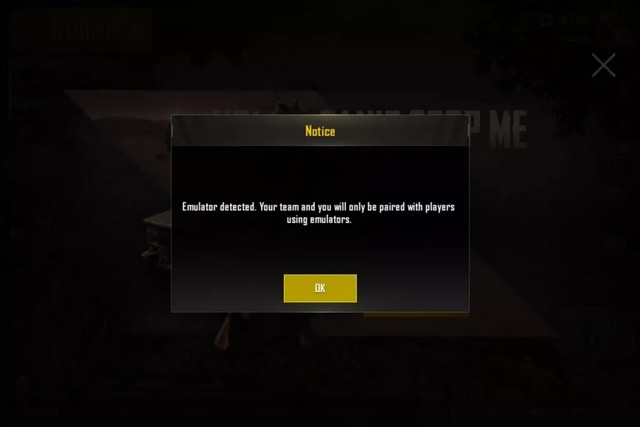 What this message means is, if you use an emulator such as Bluestacks to play PUBG Mobile, you will only be paired with players who are using emulators, which means full support for keyboard and mouse. While emulator support is certainly new, it indicates that the developers have realized the demand for keyboard and mouse input on PUBG Mobile for players who use emulators to use the hardware available on a Chromebook. Although there is no official confirmation about the same, it is a clear hint that official PUBG Mobile support for Chromebooks with all goodies such as hardware input and improved graphics limit is a possibility, and might be officially available soon.